Tarot Readings at the Upcoming ART@TheMix 3! MAJOR FEATURE: $3 and Up TAROT READINGS AND LIVE ART!!! Join us for third ART@TheMix event to bring the creative community together, promote local artists, mingle, and to bring more crowds to Wednesday nights at The Mix. 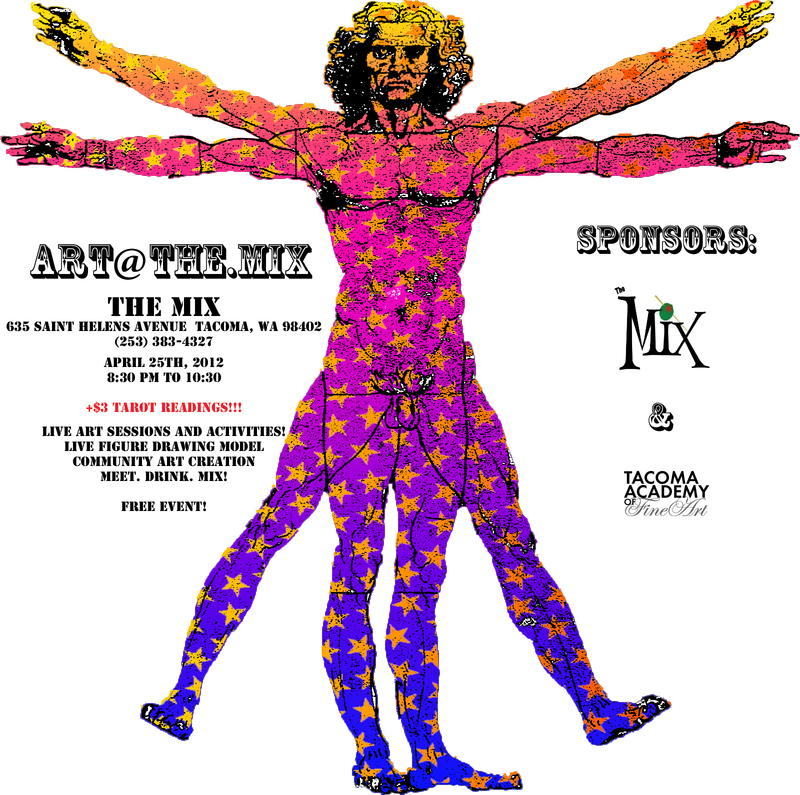 On Wednesday, April 25th, 2012 8:30 to 10:30 PM, several local artists will participate in creating art live for the creative community of Tacoma and patrons. Live art, free figure drawing session, free drink opportunities, body painting, and OUR FEATURE: TAROT READINGS!!! The locals artists all range from amateur to advanced, painting and drawing, etc. Come check us out! The last event was highly successful and tons of fun! This is a 21 and older event. Any suggestions is much appreciated! We will also have live figure drawing session open to the public, male model search for future body painting events, various contests, and an open canvas/paper for the community to make art!! !